A safe place for you and your children to worship God, make new friends and have fun! 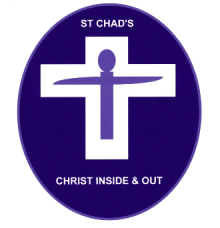 At St.Chad's we have a comprehensive children's programme, staffed by caring teams. There's "Creche" for younger children (below Reception age),"Junior Church" for children from Reception to Year 6, and "F.I.G.S." for those aged 11-16. We take the issues of safety and security seriously - all team members are D.B.S. checked. Your children will have fun-filled learning and a chance to make some new friends. 9am – A traditional Book of Common Prayer Service, which is quiet and reflective, with traditional hymns, and an anthem led by our choir. This service lasts about an hour, and includes a short sermon. There is no children’s work provided at this service. 10.45am – We have a lively contemporary service, which is family orientated, relaxed, and modern in feel. Music is led by our Worship Leader, Gideon. Our talks make use of modern A/V technology, and children/young people are well catered for by our committed and fun-loving kid’s teams. We worship together for the first 25 mins before children and young people leave to attend their own groups. 3rd & 5th Sundays: Holy Communion. 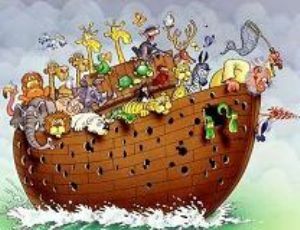 All Age – On the 1st Sunday of the month our 10.45 Service is "All Age Worship" – meaning loud, fun and fully inclusive. 10am - A spoken service, held each week in the Royal Room of our church hall. This service alternates from week to week between Holy Communion and Morning Prayer. Saint Chad’s is a Family Church! All children (over Reception age) are encouraged to attend "Junior Church" or F.I.G.S., and parents of younger children are encouraged to take them to the Creche. Parents are welcome to remain with their children until they are confident enough to stay on their own.